This little chap looks a lot happier about the fast approaching That Thing on 25 December We Don't Mention Festivities than I am! In fact, let's carry on with the whole Let's Not Mention It Plan. Yeah, I like that. Denial is good. Talking of denial, Huge Retirement Sale over at Dies To Die For. Just sayin'. Happy Christmas! Awesome shaker card!! And that Santa is so fun! :) Makes me smile! 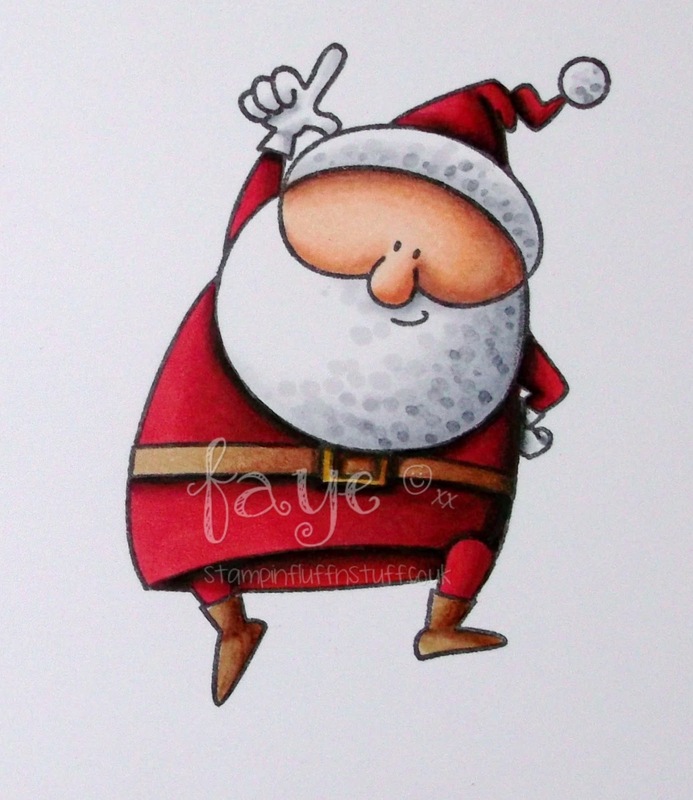 Love this dancing Santa! A gorgeous card Faye - and now I'll have to pop over to Dies to Die For......!!! Hehhe, so fun, I love the shaker idea for him too. That thing wot we dun menshun dun start till I say so anyways. Hugs Muver. Jolly little fella BTW.